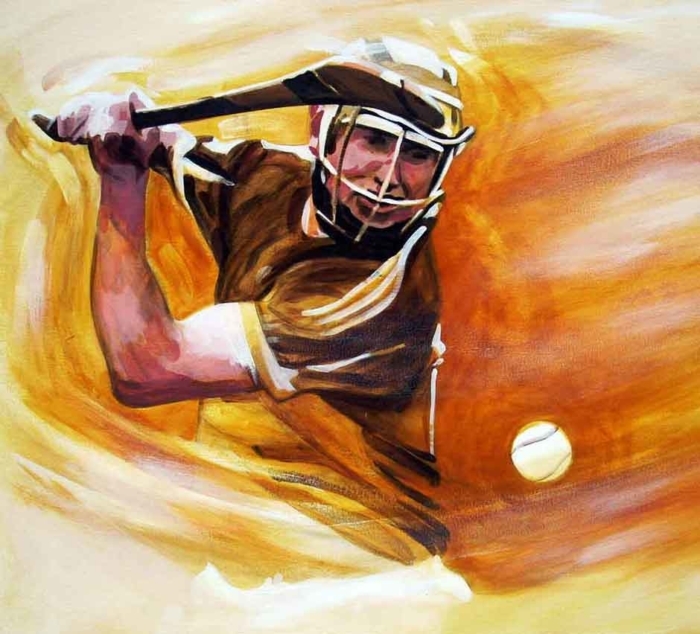 Original acrylic 20″ by 30″ painting of a hurler winding up and about to launch the sliotar down the field. Anyone that has ever played the game knows the feeling of that sweet strike. If interested in purchasing this original painting, please use ‘Contact’ tab (above). Cost: €380.